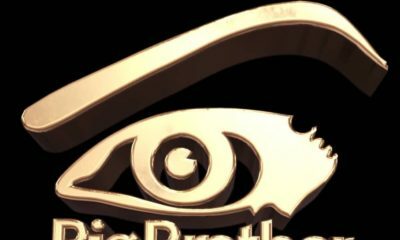 When DeeOne, one of the contestants of the 3rd season of Big Brother Naija was walking into the house, he said he was in a serious relationship. 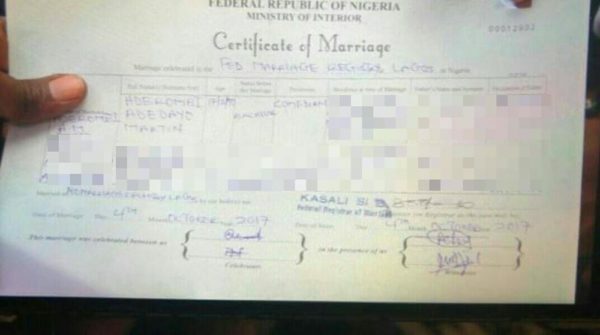 Photos have however surfaced of what looks like a marriage certificate bearing DeeOne’s name, Aderombi Adedayo Martin. 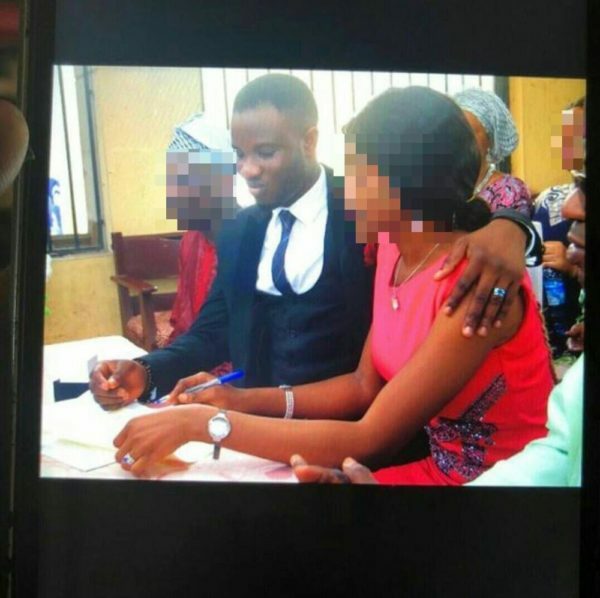 Together with photos of the marriage certificate are photos of himself and his bride at the registry, with both their parents. The Certificate of Marriage carries the date October 2017. 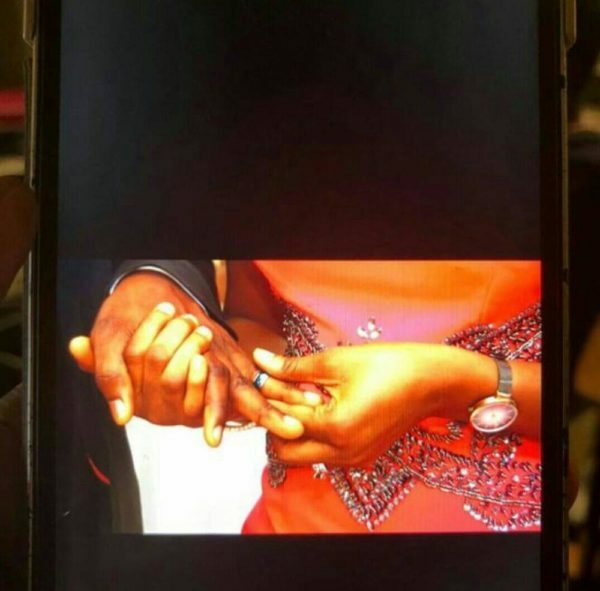 BellaNaija has chosen to blur out the faces of his bride and their parents. We also reached out to one of DeeOne’s closest friends, a fellow comedian, who would rather “not comment” on the topic than say outrightly, that DeeOne isn’t married. 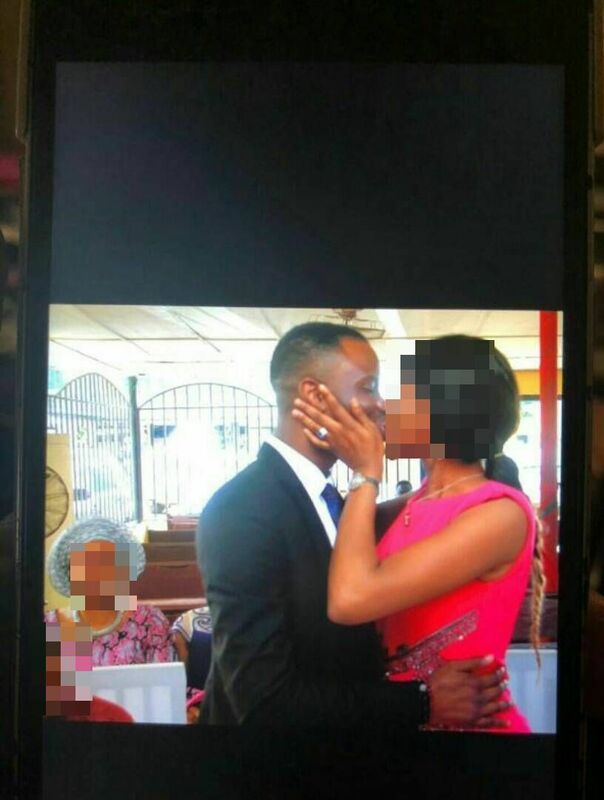 A photo of himself wearing a wedding band was also seen on social media, a month after his wedding. Monitoring spirits in Naija ni. But why lie about your marital status though? BTW this guy keeps saying he’s a comedian and very funny, and i’m like you don’t have to tell us all that. A comedian needS action and not mere words to prove himself. I’ve never laughed at his conversations. Dude always looking uptight. He did say he was in a serious relationship..
Ofkess Marriage is a serious relationship nau..
Na wa o. 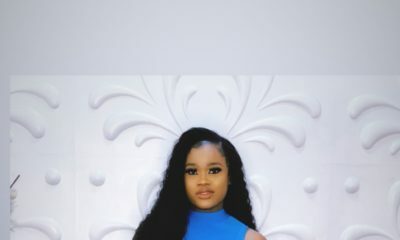 This one na real registry wedding na. It seems they feel they have a better chance not disclosing their marital status so as to get the votes. I wonder why tho? My exact same thoughts . Today’s world is another thing all together . Everything and anything is allowed all in the name of it’s a game . What would it cost you, dee-one, to just admit that you’re married right from the onset? 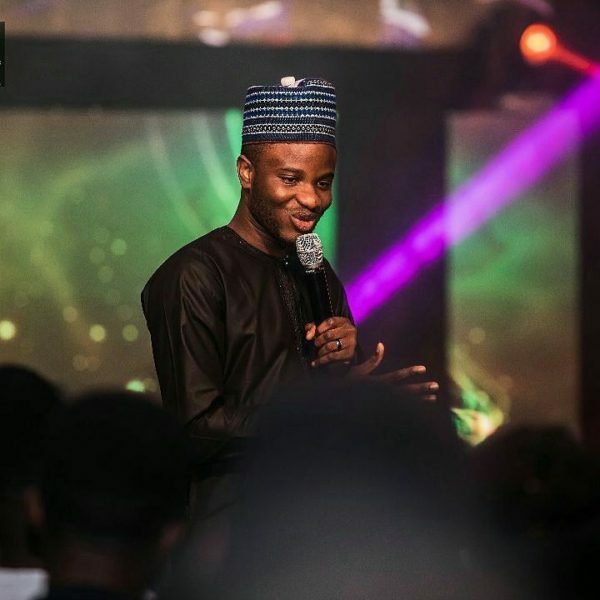 what’s with the half-truths we get among Nigerian men these days? from those that are “partially married” to “not really married” to “just married a little.” it goes on and on…. how long will the society keep accepting such fallacies? na wa o…. Is there anything Nigerians don’t lie about? I’m simply not surprised. Na wa for Nigerians their FBI skills is next to none. I wonder why someone will lie about something as vital as marriage. Anyway, he’s a comedian. He must have been joking about his status ? AFter seeing how TTT was voted out because of his lie? Even when the wife still came up to defend him, Nigerians were having none of his lies. 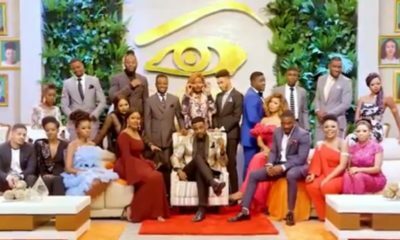 if you think you can’t make it in the house with the truth of being married, then he shouldn’t have bothered entering it at all. 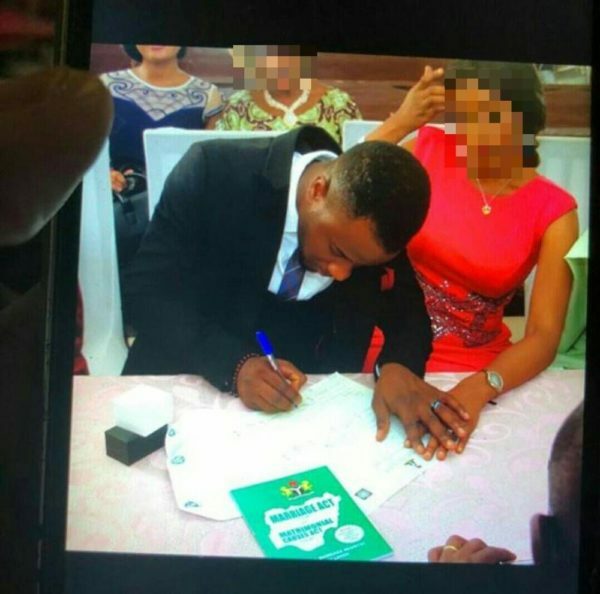 Someone cannot be a little bit married in peace again. Dialysis is an ongoing treatment, how do you have only 2 more left?